Angling Wyoming, Montana and beyond for largest Trout the stream, river or lake may have to offer. As a Trout Unlimited Life Member, I’ll share 40 years of Angling experience and conservation on the water To ensure a memorable Angling Adventure. Wyoming Angling the Snake, Greys, Green, New Fork, Hoback, GrosVenture, Greybull, Shoshoni, Bighorn, and Wind Rivers. With private access to creeks and lakes around Wyoming for large Trout and Bass this is where the adventure begins. Yellow Stone Park Angling Adventures and tours include the upper Maddison, Snake, Lamar, Yellow Stone River, lake and Lewis Lake. Pristine trout waters of North America are available for the true Adventure. 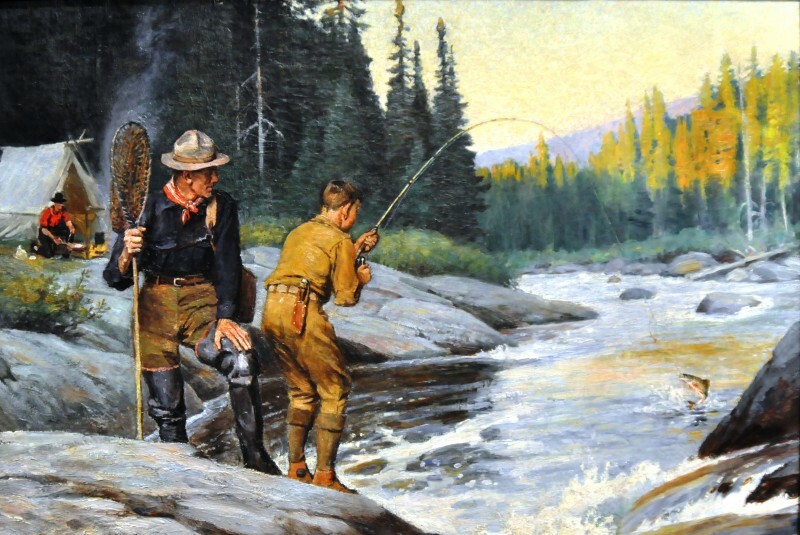 Montana Angling the Maddison, Jefferson, Gallatin, Ruby, Yellow Stone, Big Horn, Missouri, Blackfoot, Flathead, Kootenai, Beaver head, Thompson, Clark’s fork and Swan Rivers. Mongolian Adventure trips are 10 days to 20 day expedition trips. Angling for Taimen the largest of all trout. ” Gol Ling Chong” The River Wolf. The rivers also have large Lenok, Grayling and Pike. The expeditions are very remote and experience will be the adventure of a life time. Argentina and Chile Adventure Angling from San Martin to the Tierra del Fuego for Sea run Brown, Brook and Rainbow trout. The rivers streams and lakes also hold a strong resident population of all three species. The South American Adventures are great winter getaways, because of the season being opposite south of the equator. Contact us for all dates, times, season and pricing information. Copyright © 2014 - XStream Adventtures - All Rights Reserved.